The main structures are almost complete with the ramp surfaces still to be installed, the project is beginning to take an impressive shape. 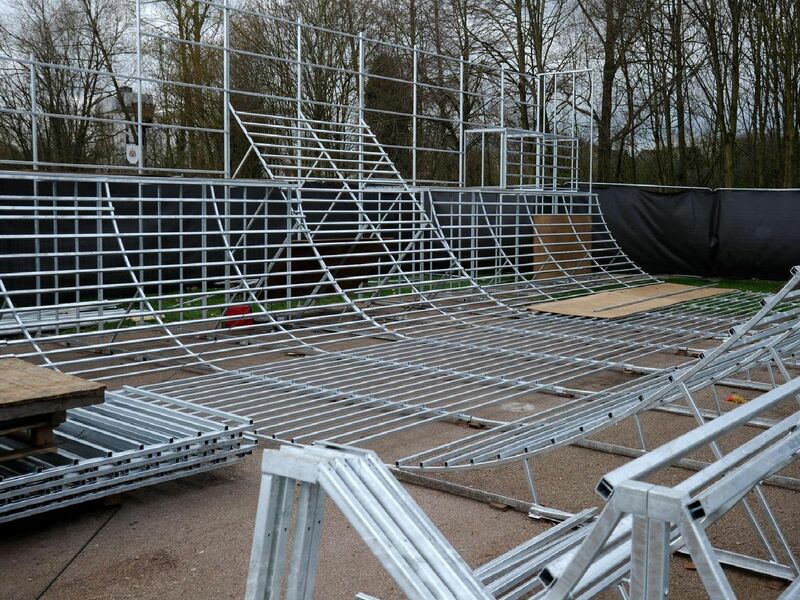 The Spiceball Park ramps will attract wheeled sports enthusiasts from miles around. The £100K park is due for completion within weeks and has been funded by Banbury Town Council.